Galileo is rolling over in his grave. In his Time Magazine article The Science of Stupid: Galileo is Rolling Over in His Grave Jeffrey Kluger references the recent survey that shows that 25% of Americans still think the sun orbits around the earth. The study came out only one day after Galileo’s 450th birthday. Kluger is right. Galileo probably is rolling over in his grave. But Kluger’s article seems a little more interested in bashing religion than correcting the view of the earth’s orbit. While he takes a couple pot shots at outspoken atheists and religious fundamentalists alike, in the end he perpetuates common myths about Christianity and science. Believers are fine, Kluger seems to imply, as long as they don’t believe in the miraculous, perhaps if they adopt some sort of a neutered theism or quasi-naturalism with a space holder for a god who commits to never interfere with the natural world. In fairness, there is not a complete equivalency here. The likes of (Bill) Maher may be tiresome, but they make a point: The world is 4.5 billion years old. Full stop. The Earth does revolve around the Sun—period. On these matters, the modern day fundamentalists are—how best to put this?—wrong. When the Catholic Church as long ago as 1758 lifted its ban on teaching the sun-centered solar system and in 1992 formally acknowledged error in its treatment of Galileo, the very guardians of Scripture themselves were acknowledging that simply because a verse is written in a book does not make it so. To insist otherwise is to fight a rearguard action, one that holds entire societies back. 1. There is not a monolithic Christian position on the age of the earth. Kluger would have to limit his understanding of a Christian view of creation to the recent Nye/Ham debate if he wants to lump all believers into this one position. The church father Augustine, esteemed by Catholics and Protestants alike, clearly held an old earth position. The famous Baptist preacher Charles Spurgeon endorsed gap theory, day age theory, and animal death prior to the fall (Read point three in his sermon on election here). And this is to say nothing of theologians from the nineteenth-century like B.B. Warfield and Charles Hodge, or twentieth-century thinkers like Francis Schaeffer and R.A. Torrey, or contemporary scholars like Wayne Grudem and Millard Erickson. 2. Galileo was, eh-hum, a Christian. And it was not just the church leaders who refused to look through his telescope and consider his theory, it was the Aristotelian philosophers of his day. His ordeal was complex and is often (and easily) misrepresented. Galileo provides great fodder for articles that aren’t overly interested in historical accuracy. One of the best resources for understanding the common myths associated with Galileo is James Hannam’s “God’s Philosophers.” And one of my favorite summary/reviews of that book is written by an atheist blogger who praises Hannam for exposing historical fallacies that permeate the internet today. In today’s deafening sound byte battle between religion and skepticism it’s easy to simply pit faith against science, to offer historical misrepresentations, and to assume simplistic generalizations of Christians as fitting into narrowly defined biblical interpretations. But the history of science is peppered with believers who took seriously both their faith in Christ and their quest to understand the natural world. I think articles like this one illustrate a confusion over the distinction between methodological naturalism (using natural science to understand the natural world), and philosophical naturalism (a belief that nature is all there is). Don’t be misled. There have been, and indeed still are, great scientists with deep religious convictions. The notion that science and the Christian faith cannot coexist, though popular, is demonstrably false. 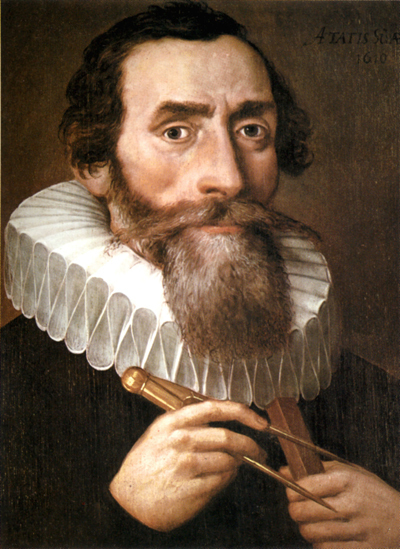 If Galileo is rolling over in his grave he is probably joined by Kepler. And the reason for their unrest would likely have more to do with the popular misinterpretation of the relationship between science and faith illustrated by Kluger’s short Time piece than with the the number of Americans who think the sun orbits the earth.